California Fishing Maps from Omnimap, the leading map store with over 250,000 map titles. California Lake Fishing Maps by Fishing Hot Spots are superb maps showing the lake bottoms for hundreds of lakes and rivers across the USA. These maps are printed on either kimdura or Hop-syn (both tear-resistent waterproof synthetic materials), making them nearly indestructible. The maps show lake bottom contours, shoreline features, roads leading to the lakes, boating facilities along the lake shore, and much more. $12.99 62-5693-A126 Lake Berryessa fishing map. $12.99 62-5693-A130 Lake Cachuma fishing map. Out of print when sold out. 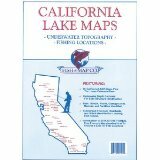 $12.99 62-5693-A132 Casitas Lake fishing map. $12.99 62-5693-A134 Clear Lake (Lake Co.) fishing map. 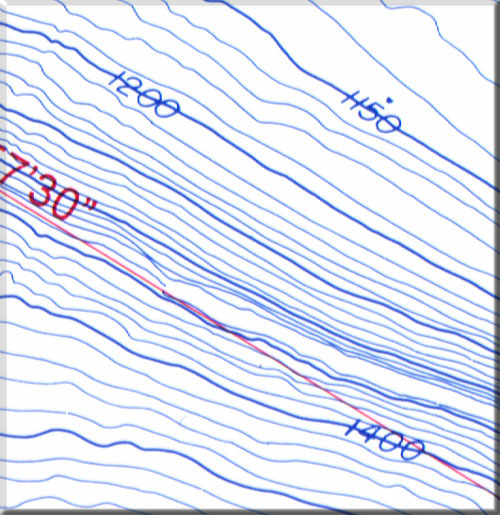 $12.99 62-5693-A135 Lake Folsom fishing map. $12.99 62-5693-A136 Lake Isabella fishing map. $12.99 62-5693-A137 Millerton Lake fishing map. $12.99 62-5693-A139 Lake Piru fishing map. $12.99 62-5693-A142 Lake Shasta fishing map. $18.99 62-5693-CA0106 Los Angeles Inshore North - Oxnard to Santa Monica fishing map. CA0106. Sample from the Golden Gate map. Sample detail from the Sacramento River fishing Map. Northern California Lakes Maps Atlas. Fish-n-Map. Spiral-bound atlas with maps of 51 lakes and reservoirs in northern California. 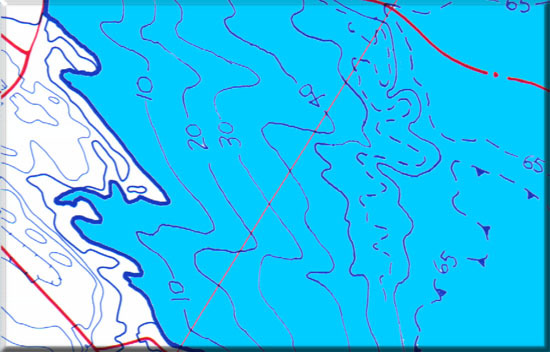 All maps are blue/white maps with bottom contour lines. 90 pages, 11 x 15 inches. Not waterproof. NOTE: This atlas is under revision and currently not available. The new edition will be available in February 2018. $10.99 62-5693-CA Camanche/Folsom lakes fishing map. 10' & 20' contours. $10.99 62-5693-CB Lake Casitas, Lake Cachuma fishing map. 5' contours. $10.99 62-5693-CC Castaic, Piru, Pyramid fishing map. 5' contours. $10.99 62-5693-CL Clear Lake & Lake Berryessa fishing map. 3' & 20' contours. Lower Colorado River (Parker Dam to Yuma) - see Arizona listing. $10.99 62-5693-DE The Delta (Suisun Bay, Sacramento and San Joaquin Rivers) fishing map. 5' contours. $10.99 62-5693-DO Don Pedro, Pardee, New Hogan reservoirs fishing map. 20' contours. $10.99 62-5693-FE Feather & American Rivers fishing map fishing map. 1:40,000. $10.99 62-5693-HO Hodges, Sutherland Lake, Morena Reservoir, Lower Otay fishing map. 5' contours. $10.99 62-5693-IR Irvine Lake, Diamond Valley, Puddingstone, Eastside Res. (L. Domenigani) fishing map. 10' contours. $10.99 62-5693-IS Isabella, Big Bear fishing map. 10' & 20' contours. $10.99 62-5693-MC McClure, Eagle Lake, Lake Almanor fishing map. 10' contours. $10.99 62-5693-MI Millerton, Pine Flat, Amador fishing map. 10' contours. $10.99 62-5693-NB Nacimiento, San Antonio fishing map. 10' contours. $10.99 62-5693-OR Oroville, San Luis fishing map. 10' & 20' contours. $10.99 62-5693-SAL Sacramento River, lower, fishing map fishing map. 1:40,000..
$10.99 62-5693-SAU Sacramento River, upper, fishing map fishing map. 1:40,000. $10.99 62-5693-SH Shasta fishing map. 20' contours. $10.99 62-5693-SI Silverwood, Perris, Skinner fishing map. 10' contours. $10.99 62-5693-SO Lake Sonoma, Mendocino, San Pablo, Del Valle fishing map. 10' contours. $10.99 62-5693-TB Lake Tahoe, New Melones reservoir fishing map. 20' contours. $10.99 62-5693-TR Trinity, Whiskeytown fishing map. 20' contours. California & Mexico Saltwater Maps. $10.99 65-0188-BN Baja California North, Pacific side (Coronado Island to Pt. Eugenia) fishing map. 30' contours. $10.99 62-5693-CD Catalina Island, Long Beach (Dana Point to Santa Monica Bay) fishing map. 30' contours. Due 3/1/2010. $10.99 62-5693-CH Channel Islands, Ventura (Point Duma to Point Conception) fishing map. 30' contours. Being revised, due 3/1/2010. $10.99 62-5693-DE The Delta (Suisun Bay, Sacramento and San Joaquin Rivers) fishing map. 5' contours. (Same as above). $10.99 62-5693-GO Golden Gate Offshore/Monterey Bay/Farallon Islands (Bodega Bay to Pt. Sur) fishing map. 5' contours. $10.99 62-5693-LA Los Angeles & Orange County Inshore (Pt. Dume to Dana Pt. 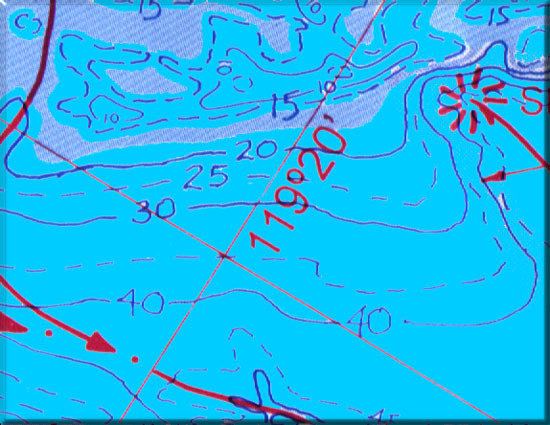 inshore charts) fishing map. 5' contours. $10.99 62-5693-GO Monterey Bay/Golden Gate Offshore (Pt. 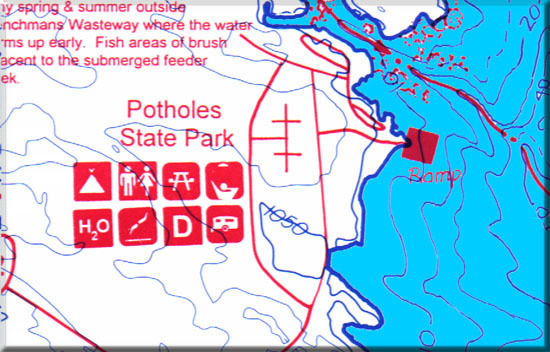 Sur to Bodega Bay, including Farallon Islands) fishing map. 5' contours. Same as Golden Gate map above. $10.99 62-5693-PB Pacific Coast charts (Coronado Island to Point Arguello and San Clemente) fishing map. 30' contours. $10.99 62-5693-SD San Diego, Oceanside (Coronado Island to Dana Point) fishing map. 30' contours. $10.99 62-5693-SC San Diego-Ensenada Outer Banks/Coronado Islands fishing map. 150' contours. $10.99 62-5693-SE San Diego Inshore Charts (Sand Diego Bay & Mission Bay) fishing map. 5' contours. $10.99 62-5693-SF San Francisco Bay/San Pablo Bay (Carquinez Bridge to Coyote Creek & Golden Gate) fishing map. 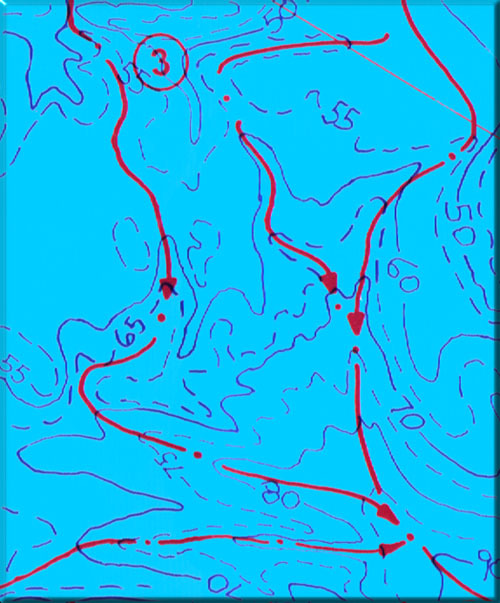 2' contours. $10.99 65-0188-CN Sea of Cortez North (San Felipe to Mulege) fishing map. 30' contours. $10.99 65-0188-CS Sea of Cortez South (Loreto to Cabo San Lucas) fishing map. 30' contours. Wilderness Adventures River Fishing Maps. An essential tool for a successful fly-fishing trip is a detailed map of the water. One that will give you the access points, boat launches, campgrounds, public areas, roads, and GPS coordinates to pinpoint your location. 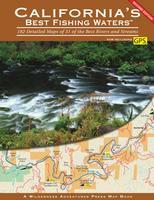 $9.95 62-56933-EAW East Walker River fishing map. From Bridgeport to State Line. $9.95 62-56933-HAT Hat Creek River fishing map. $9.95 62-56933-KER Kern River fishing map. $9.95 62-56933-KLA Klamath River fishing map. $9.95 62-56933-OWE Owens River fishing map. Owens River, including Hot Creek. 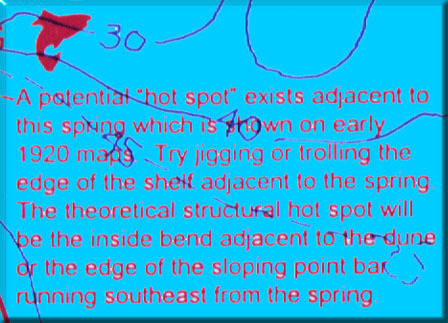 $9.95 62-56933-PIT Pit River fishing map. Pit River from McArthur to Shasta Lake. $9.95 62-56933-TRU Truckee River fishing map. Truckee River, from headwaters to Pyramid Reservoir. $9.95 62-56933-UPS Upper Sacramento River fishing map. Upper Sacramento River, from Siskiyou Lake to Lake Shasta. California's Best Fishing Waters Guide. Wilderness Adventures Press. This book features 182 detailed maps of 31 of the best rivers and streams. It now includes GPS information. California's 31 best rivers and streams are completely revealed in excellent, detailed, full-color maps showing every fishing access, campground, boat launch, tributary, and trail, along with great information about each section of water and nearby fisheries. Public land is clearly identified in color, and every possible access or state lease is easy to find with just a glance. Everything you need to know is on these maps. From Northern California's famous trout rivers and coastal steelhead streams to Yosemite National Park waters and small streams in the Sierras, these incredibly comprehensive maps will lead you to the best fishing California has to offer. Official access sites are clearly marked including GPS coordinants, along with the boat ramps, campgrounds, and roads and trails that allow additional access to every stream. River miles, public and private land, and a wealth of other useful information for anglers is also included. Flyfishers Guide to Northern California. Wilderness Adventures Press. The guide covers all of the major fishing waters in the state. Each water is written by an expert flyfisher, who knows the water. Each expert covers tactics and the best times to fish the water, along with recommended flies and hatch charts. There are over 40 detailed maps of the rivers with river miles and public access points. There is a section on the private waters that have trophy trout and are available for a daily rod fee. There are also listings for fly shops, accommodations, and campgrounds.